We brought you news last Friday of Irish outfit The Script landing on Australian shores later this month for promotional duties surrounding the release of their new album ‘#3’, at the same time announcing an exclusive one-off show in Sydney while they’re on the ground. The boys announced a very special show at the Metro Theatre, at which they’ll be playing tracks from the new LP along with the hits that have endeared them to Australian audiences (see ‘Breakeven’, ‘Before The Worst’, ‘For The First Time’ etc). Frontier Touring tells us today that the show sold out within minutes of going on sale yesterday morning and have confirmed that Queensland songstress Sinead Burgess has been chosen as the support act. 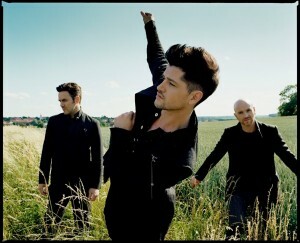 The Script arrives in Australia later this month.